Memorex Corporation founded in 1961 by Laurence L (Larry) Spitters and a group of entrepreneurs from Ampex Corporation initially successfully entered professional tape media markets. Memorex was the first computer industry start-up in Silicon Valley. 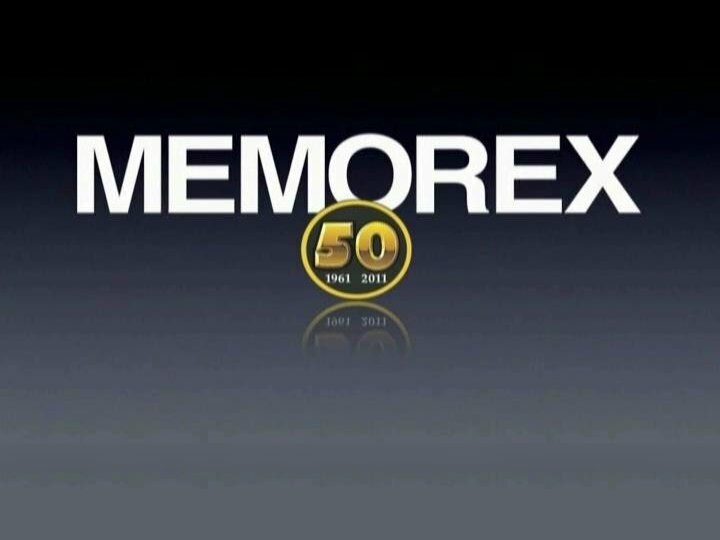 In the mid-1960s Memorex began a strategic plan to enter the computer systems business by first establishing its presence as a supplier of products plug-compatible to IBM systems and then using its established sales and service capabilities to offer complete computer systems. A Consumer Products division established in 1970 made Memorex a household name with its 1972 campaign; Ella Fitzgerald and the shattering glass - '' Is it live or is it Memorex ? '' Pieces of such shattered glass are purported to be in the Smithsonian. Burroughs sold the consumer business in 1982; in 2006 it was acquired by Imation. Memorex successfully executed the equipment into system strategy thru the early 1970s including significant successes in IBM plug-compatible disk storage and communications products. It continued as a leader in various media products. The Memorex system was introduced in April 1972. A series of extremely aggressive pricing and product actions by IBM reduced the profitability of Memorex’s equipment businesses to the point where corporate viability was questionable. In July 1973 the Memorex system was withdrawn. In 1974 Robert C. (Bob) Wilson replaced Spitters as CEO and restructured the company in cooperation with the Bank Of America. During the 1970s Memorex successfully focused on media products and on IBM plug-compatible storage and communication products. Wilson retired in 1979 and was replaced as CEO by Clarence W. (Clancy) Spangle. In 1981 Burroughs acquired Memorex and in 1986 Burroughs, upon acquiring Sperry Univac, renamed itself Unisys. Memorex continued into the 1980s in its three business lines but problems in all product lines, including a difficult transition to the 3380 class of plug-compatible disk subsystems and a complete miss in the then vigorous OEM disk drive markets led to the dismemberment of Memorex by Unisys in the late 1980’s. Led by its international team under Giorgio Ronchi, most of Memorex spun out of Unisys, later becoming Memorex Telex N.V. It in turn was broken up in the middle 1990's. Many of Memorex's original international sales and service subsidiaries continue as subsidiaries of other companies, e.g. Memorex Telex Japan, Ltd, continued operations until 2007. The Memorex tape plant on Shulman Avenue in Santa Clara initially occupied in November 1961 was auctioned off in February 1994. The disk drive business unit was spun out in late 1989 as Sequel, headed by Mike Haltom. It continued as a disk drive repair company and was acquired by Solectron in 1999. In 2006 Imation acquired the brand from Hanny Holdings. In 2011 approximately 200 Memorex Alumni reunited to celebrate Memorex's fiftith anniversary, click on the image below to see what happened. Memorex as a consumer brand lives on; in 2016 the brand was acquired from Imation by DPI Inc., a St. Louis-based branded consumer electronics company for $9.4 million.